Mouscaillo is a domaine built out of strong character by the aptly named Pierre and Marie-Claire Fort on an exceptional terroir - the high altitude, steep slopes of Roquetaillade. With nearly fifteen years of experience, the Forts have been crafting astonishing, pure, and ageworthy Chardonnay, Pinot Noir, and Crémant from their unique vineyards at the crossroads of the mediterranean and oceanic climates. Pierre Fort comes from a family of vignerons dating back countless generations, who typical of the region sold their crop off to the local cave cooperative. Being of strong and independent character, ever since he could remember, Pierre wanted to vinify his own wines, but lacked the knowledge and experience. In 1987, the couple left Limoux to gain experience working at other domaines, eventually landing in Pouilly-Fumé where they befriended Didier Dagueneau. After a trip to visit Roquetaillade, Didier convinced them to finally make their own wines. In 2003, they drove 500 kilos of Chardonnay in their air-conditioned van up from Limoux and produced a micro-cuvée chez Dagueneau, which Didier was happy to share a taste with many of his customers. 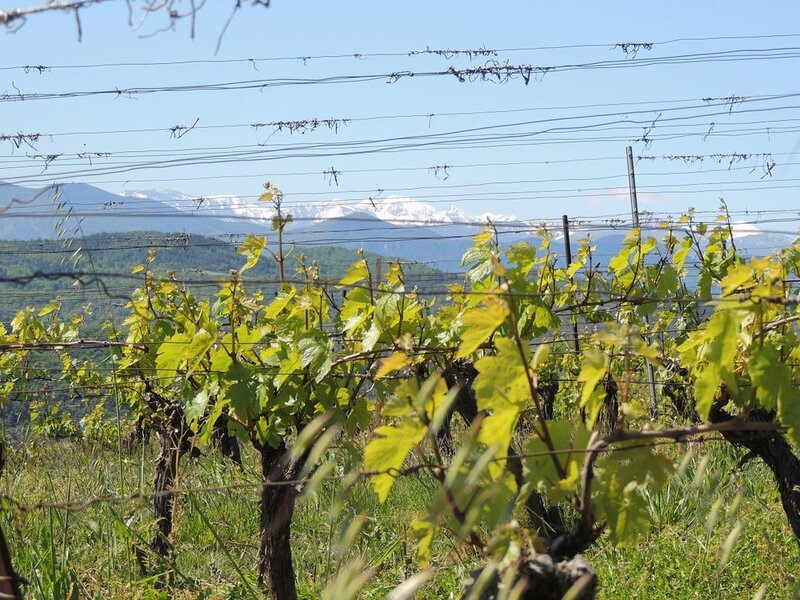 After this auspicious start, the Fort family began their own domaine in 2004, and now have 6 hectares of vines between two parcels with astonishing views of the snow-capped Pyrenées- the North-facing Le Mouscaillo (which means Little Fly in Occitan), and the South-facing Saint Pierre. Over a decade later, they have honed their craft, and are quietly making some of the most ageworthy, ambitious, and delicious whites of the region. The next generation has also returned to the domaine : their son Thomas and his wife Camille joined the effort in 2017 after studying ecology and winemaking, passionate about the region and the domaine, and ready to continue the work started by Pierre and Marie-Claire. Sustainable farming with a strong focus on environmental responsibility. Assembly of two parcels, Le Mouscaillo and St Pierre, both with clay-limestone terroir, which allow the vines to stay hydrated even in the driest summer heat. Hand harvested and fermentation in 600L demi-muids. Ageing period during 7months in order to obtain the base-wine and then, the second fermentation made by using the grape must saved from the harvest. Wine is left during 18months in bottle before disgorgment and release Brut Nature, with no dosage. 9,000 bottles produced. Sustainable farming with a strong focus on environmental responsibility. Assembly of two parcels, Le Mouscaillo and St Pierre, both with clay-limestone terroir, which allow the vines to stay hydrated even in the driest summer heat. Hand harvested and fermentation in 600L demi-muids. Ageing 11months on lees, and 6 months in bottle before release. 15,000 bottles produced. Sustainable farming with a strong focus on environmental responsibility. Vines are planted in the parcel St-Pierre, a limestone-clay terroir, with a preponderance of clay which allow the vines to stay hydrated even in the driest summer heat. Hand harvested and 100% destemmed. Fermentation in fiberglass tanks with light pump overs but no punchdowns. Ageing 11months on lees, and 6 months in bottle before release. 4,000 bottles produced.